In the most recent issue of the New York Times Magazine (via Uproxx), an article on Comedy Central casually drops an interesting “what might have been” note: Both Amy Poehler and Chris Rock were considered as possible replacements for Jon Stewart on The Daily Show. Poehler reportedly gave “the quickest no in history,” but Rock actually considered it for a moment or two. His idea was to only stick around for a year and leave the show after the 2016 presidential election, which is the TV news equivalent of joining a football team on the season it wins the Super Bowl and then immediately retiring. After that, Rock would’ve handed the desk over to a “more permanent” replacement. 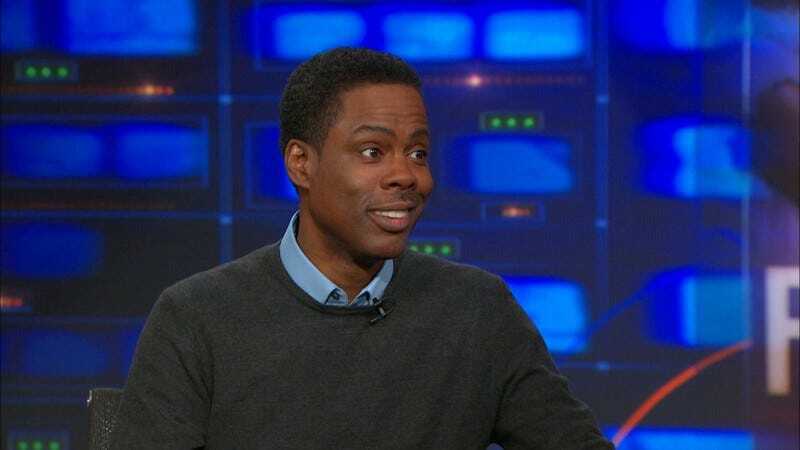 This probably would’ve been an exciting get for Comedy Central, since Chris Rock is one of the biggest comedians out there, but it also would’ve left the network in the same situation it’s in now. Of course, Comedy Central will tell you that it only ever wanted Trevor Noah for the Daily Show desk, but you know Rock isn’t the only potential host who actually got this close to getting the job. At the very least, Rock probably wouldn’t have gotten in trouble over anything on his Twitter page.